We’re super stoked that the doors have opened at TechHub Madrid! If you didn’t already know, we’re extending our partnership with Google for Entrepreneurs as it’s based in Google’s newly-launched Campus Madrid. Now there is an ideal space in Madrid for Spain’s exciting tech startup scene and its wealth of talent to grow their companies. 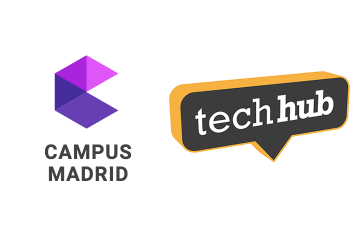 TechHub Madrid will have the same awesome programme of events that we have in London, which is specifically designed to help tech startups get better, faster and will include the legendary #TechHubTuesday Demo Night, VC Coffee Mornings and our Office Hours sessions. Don’t forget that all TechHub members are global members, which means that TechHub Madrid is open to every TechHub member in the world and our members in Madrid can utilise our global network too! Our strong presence in Europe’s major tech cities, as well as newly launched sites in London, Boston and Bangalore, our international network provides members with the opportunity to be wherever their business needs. TechHub Madrid is waiting for you, so any tech startups and entrepreneurs interested in building their amazing tech product there can apply for membership, book a tour or sign up for news. For up to the minute news and information on competitions and opportunities you should follow us @TechHubMadrid on Twitter!